MidCurrent: Dave, why a poster? 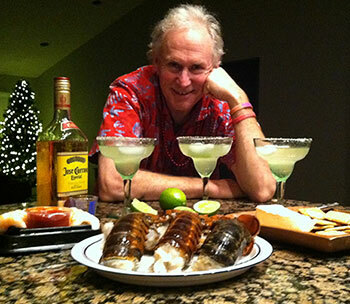 Dave Hall: I’ve been an artist for going on 15 years now. My work tends toward a couple of my passions – fly fishing and the Yellowstone country of Montana, Wyoming and Idaho. I’ve been looking the last few years for a way to give back, a project that is a creative venture for me but also something that can raise funds for river conservation. It’s my hope that the Moving Water poster series will do this. DH: I plan to do one each year. DH: First off, my small company Moving Water LLC is a member of 1% For The Planet. It’s a great organization founded by Yvon Chouinard and Craig Mathews and as a member you commit to giving back 1% of profits to conservation. It’s a wonderful concept and more companies should look into it. The remaining 99% of profits from Moving Water poster sales in 2014 will go to Idaho’s Henry’s Fork Foundation. 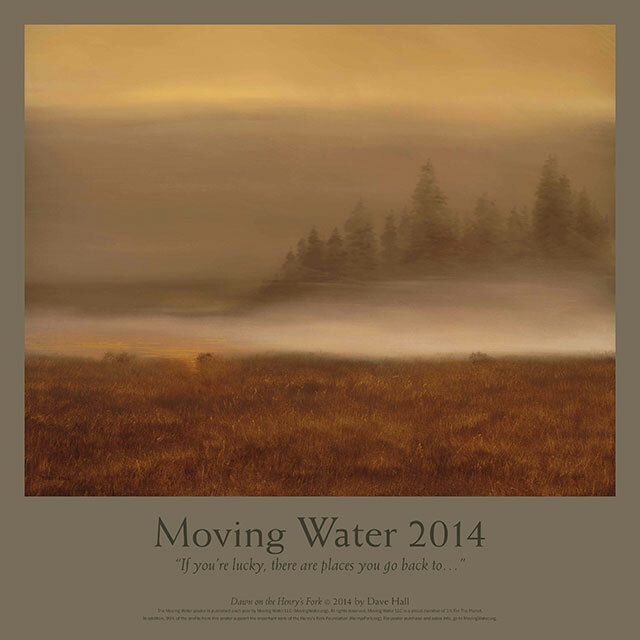 The new “Moving Water” poster by Dave Hall can be purchased at MovingWater.org. All profits benefit the Henry’s Fork Foundation. MC: I know you spend a lot of time in the Bozeman and Ennis, Montana area. Why the Henry’s Fork Foundation in Idaho? DH: The Henry’s Fork, and especially the Harriman Ranch, is a great fishery and one of the most beautiful places on Earth. I fished it a lot in the 80s and 90s and some of my very best friends around the country I met on the Henry’s Fork. There were a lot of stories told sitting on the bank, talking, laughing, waiting for trout to rise. Beyond that though, and this is getting to what’s really important, the Henry’s Fork Foundation is an example of an extremely well run and effective river conservation non-profit. They have a great board, a lot of support around the country, and they’re tackling some of the tough issues that confront the Henry’s Fork and they’re doing it with hard science, education and outreach. Just a really fine organization. MC: What about the image on the poster? You’re gettin’ kind of “foggy” on us. DH: I was talking a few days ago with my friend Steve Schmidt of Western Rivers Flyfisher in Salt Lake and he said of the image “You know, most people have never seen something like this.” He’s right. But anyone who’s walked the Henry’s Fork at dawn – and any number of other rivers around the country – knows that scene. It’s gone when the sun’s up and the air warms. It’s ethereal and an experience I find extraordinarily beautiful. MC: Thanks Dave for what you’re doing. What are the details on purchasing a Moving Water poster? DH: Pretty straightforward. The posters are $29.95 and can be purchased at MovingWater.org.